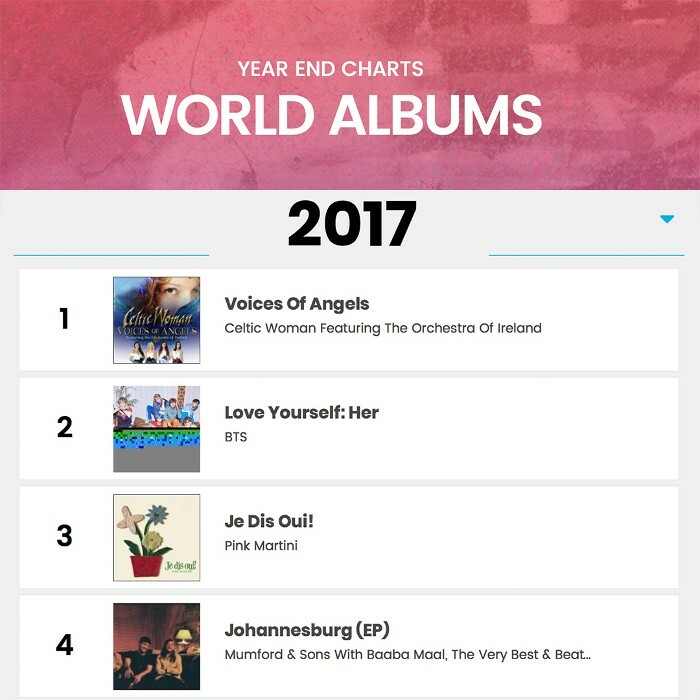 We are thrilled to see ‘Voices of Angels’ is the #1 Album on the Year End Billboard World Music Charts and Celtic Woman are the #2 Year End World Music Artists of 2017! What a phenomenal year it’s been with lots more to look forward to with our new release ‘Homecoming Live From Ireland’ available on presale Friday 22nd December. Thank you from the bottom of our hearts for your continued support.